The LGV Training Company offers training you need to become a professional Category C or C+E Driver. So here we got a chance to speak with TheLGVTrainingCompany. Jobisite : Thanks for your time. Can you tell about TheLGVTrainingCompany. TheLGVTrainingCompany: We have both HGV and LGV Training proficiency and a vast industry experience, so you can trust us to go the extra mile for you. We have over 35 of the best training schools nationwide. We have well defined courses and training process. Jobisite : Are there any theory tests and guidance? TheLGVTrainingCompany: Yes, LGV Training process consists of Hazard Perception and Multiple Choice Theory test. We supply with a personalized online login to our online Theory Test Revision area which will help to prepare for the test. 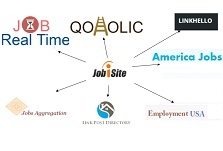 Jobisite : How do you offer job search support? TheLGVTrainingCompany: We help in finding a great job by providing with our 1:1 recruitment service, including a recruitment pack, help with writing a CV and cover letter, weekly updates on suitable vacancies plus tips for the interview. We also offer Pass Insurance, which guarantees you an extra test attempt should you fail. On passing the test, we guarantee you an interview.